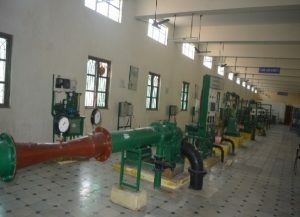 Mechanical Engineering Department is one of the oldest and biggest departments of the Institute which was established in the year 2002 with an intake of 60 students and now we were approvedfor an intake of 180 students. The Department has the total student strength of 700+ which is committed to well being and all-round development of its students and make efforts to continuously enhance teaching-learning environment through using best practices and innovations in pedagogy. Objective of the undergraduate programme is to prepare the manpower to meet the global needs and to take up their career in a broad spectrum of Industries. 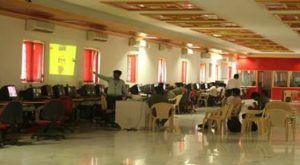 Most of the students, who graduate from the department, end up taking leading positions in industry, academia, government and commercial organization in both India and Abroad. 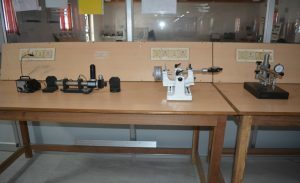 The Department has the faculty strength of 33 whom are highly regarded and technical staff of 6 who are associated with 13well equipped Laboratories. 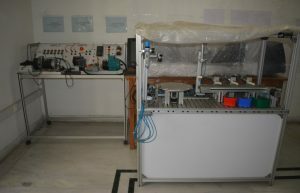 Our faculties are specialized in all major areas of Mechanical Engineering and continually evolved to incorporate advancements in trending fields like Mechatronics, Nanotechnology, Bio Fuels, Nano Fluids, 3D Printing and Robotics. The Department introduced Post graduate programme in Mechatronics in the year 2012, we achieved 2 gold medals in the academic year 2013-2014. Postgraduate students are actively engaging in research work and improving significantly through participating in various National and International Conferences and published papers in reputed journals. The Department conducts International Conference ICONSTEM – in trending and emerging concepts every year to share their knowledge and research with other researchers from reputed universities and industry experts all around the world. The Department also conduct student level National Technical Symposium to enhance the student’s technical skills and to update their knowledge in modern developments in engineering and technology. 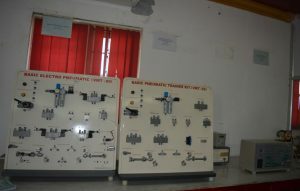 The Department has various chapters and associations like Society of Automotive Engineers – SAE India Southern Section and Indian Society of Heating Refrigeration and Air Conditioning Engineers (ISHRAE – Kalpakkam Chapter) which provide ample of growth for every individual student and it promotes collaborative practices too. 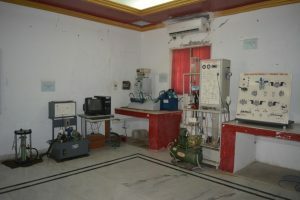 SAE Collegiate Club of Jeppiaar Engineering College was inaugurated in the year 2006 with strength of 25 student members. 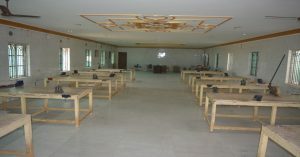 At present the club has strength of 150 student members. 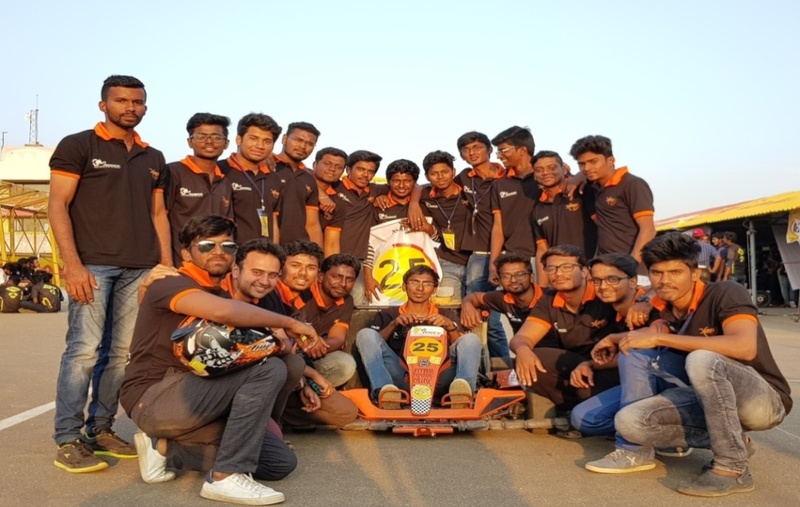 SAE student members actively participate in SAE events like SUPRA SAE, BAJA SAE, EFFI-CYCLE, TRACTOR Design Competition and ISNEE events like Go-Kart, Quad-Bike and Formula Green. SAE also provide opportunities like Industrial Visit, Guest Lecturers, Trek, SAE COLT, student executive council meeting and Newsletter. 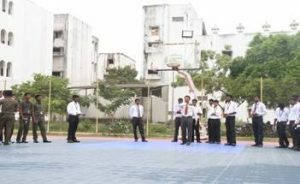 Indian Society of Heating Refrigeration and Air Conditioning Engineers, Kalpakkam Chapter was inaugurated in the year 2016 with strength of 50 student members. 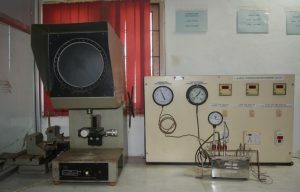 ISHRAE provide opportunities like Industrial Visit in Indira Gandhi Centre for Atomic Research (IGCAR) at Kalpakkam, Guest Lecturers from field experts, Internship for student members to excel their knowledge and Job Junctions. To create excellent professionals in the field of Mechanical Engineering and to uplift the quality of technical education on par with the International Standards. critically and relatively investigate complex mechanical systems and processes. through knowledge sharing activities by interacting with global communities and industries. and life skills and apply them for the betterment of society. excellent professionals for empowering nation’s economy. PO3 Design/development of solutions: Design solutions for complex engineering problems and design system components or processes that meet the specified needs with appropriate consideration for the public health and safety and the cultural societal and environmental considerations. PO9 Individual and team work: Function effectively as an individual and as a member or leader in diverse teams and in multidisciplinary settings. 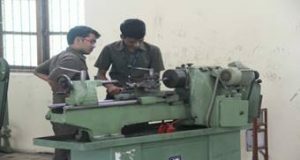 PSO1 Understand the basic concept of various mechanical engineering field such as design, manufacturing, thermal and industrial engineering. PEO1 To enrich the technical knowledge of design, manufacturing and management of Mechanical systems and develop creative and analytical thinking in research. PEO2 To relate, strengthen and develop the theoretical knowledge of the Mechanical Engineering by exhibiting various concepts applied through diverse industrial exposures and experts’ guidance. PEO3 Facilitate the students to communicate effectively on complex social, professional and engineering activities with strict adherence to ethical principles. PEO4 Create awareness for independent and lifelong learning and develop the ability to keep abreast of modern trends and adopt them for personal technological growth of the Nation. National Service Scheme (NSS) is a permanent youth programme under the ministry of Youth Affairs and Sports, Government of India and funded by Government of Tamil Nadu and Government of India in the ratio of 5:7 . National Service Scheme Jeppiaar Engineering College was initiated with a vision, to cause benefit to the society in any possible way. We at NSS function with a mission to mobilise our youth into a sect of progressive citizens and imbibe in them an inclination towards social service. 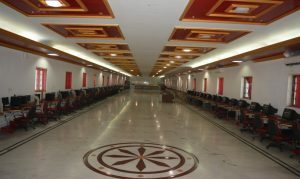 NSS Jeppiaar has 200 students, from all respective years and batches, who help contribute to the cause of the scheme. National cadet corps (N.C.C) Naval Wing was started in our college on 17th September 2003 in the presence of Commander B.V.Ramakrishna and is functioning successfully under the excellent guidance of our Founder Chairman Colonel Dr.Jeppiaar M.A, B.L, Ph.D. and energetic Director Dr.RegeenaJeppiaar B.Tech.,M.B.A.,Ph.D. The strength of NCC division is 50 cadets, including 36 % Girl Cadets. Every year 20 Parades are conducted, each parade consisting of 6 periods (i.e.) 4 hours. Petty officers from 4(T.N) Naval Tech Unit train and infuse great enthusiasm in our cadets. The Youth Red Cross Unit was inaugurated in our college on 5th September 2003 and registered under the Red Cross Society, Tamil Nadu Branch. As we know, Youth Red Cross society is a very important group movement for students in institutions of Higher education to bring out their voluntary service minds for people in distress. 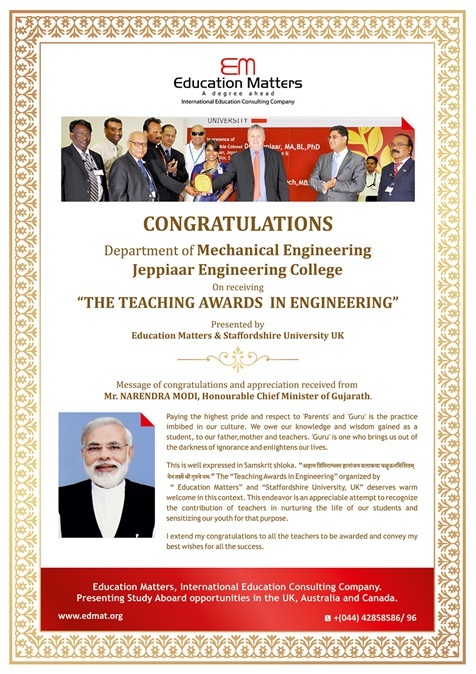 We thank our Honourable Chairman Colonel Dr.Jeppiaar., M.A.B.L., Ph.D., and Managing Director Dr.Regeena.Jeppiaar, B.Tech. 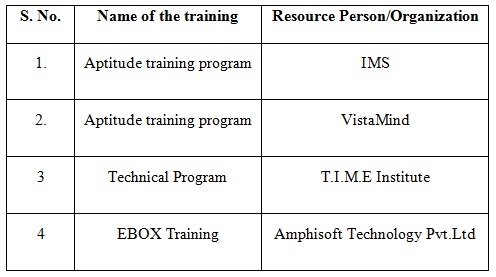 M.B.A., Ph.D. in helping us to do these activities. The first activity organized was the collection of an important commodity- BLOOD. The Youth Red Cross Unit of our college organizes a “Blood Donation Camp” on twice a year. A total of minimum 200 students and staffs actively participate and donate blood. We are proud to say that our YRC Unit received “DR.SIVARAJ ROLLING TROPHY” for 8 times consecutively for maximum blood donated Engineering College in Tamilnadu. We are proud to say that we received from His Excellency Dr.Surjit Singh Burnala, Governor of Tamilnadu State twice on the Red Cross Day 2010 &2011 and the year 2012 from Hon’bleMr.Duraisamy, Mayor of Chennai for being the maximum blood donated college in Tamil Nadu. During the year 2013 we received Trophy from Dr.Rosaiya, Governor of Tamilnadu. Twice we received trophy from “Dr.MGR Medical University” for helping them by donating blood during crucial situations like Flood and Dengue periods. Students were taught about the importance of yoga. Smoking level were monitored and medicines were given to drivers at Jeppiaar engineering college. Students were taught to how to hold pens and how to improve their handwriting, how to carry their school bag at government school manamathy village. Management sponsored 750 lunch .Orphanage students were taken to vandaloor zoo. Students participated in cultural activities at ethiraj college and volunteered for the event. From brahma kumaris yoga trainers taught yoga asanas to students. Volunteered in smile Chennai were school children were taught how to brush their teeth and importance of brushing. Dr. Harish explained the postures to reduce back pain. Students participated in competitions to celebrate Dr. Abdul kalam birthday celebration at Jeppiaar Engineering college. Winners was awared with certificates. Rotract students visited New Hope orphanage and distributed sweets to children. Around 10 Rotractors participated in chess tournament. Around 50 students participated in 5 km run at Regreen Marathon. 5 Rotractors participated in this Christmas celebration. Rotractors volunteered this medical camp. 32 rotaractors participated and conducted games for school children. Around 20 students participated in Fusion. Around 15 rotaractors participated in celebration at Manamathy village. 30 rotractors participated in sand sculpting contest. Around 100 rotractors participated in this session. 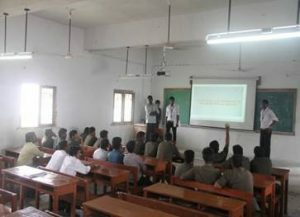 To eradicate and educate the youth about drug abuse, this session was organized at Jeppiaar Engineering College. To create awareness about the scarcity of water and to use right amount of water required in their day-to day use. To ensure women are healthy, exclusive women medical camp was organized on women’s day with the scope of dental, eye, general check up at Manamathy village. To train leadership skills and communication skills RYLA was organized at Jeppiaar Engineering College. An ethnic event of Tamizh peravai has been conducted during 12th and 13th March 2018 in our college. Native games and sports have been organized by our department students and they were praised with tamizh books. Damodharan, D., Sathiyagnanam, A. P., Rana, D., Rajesh Kumar, B., &Saravanan, S. (2018)’Combined influence of injection timing and EGR on combustion, performance and emissions of DI diesel engine fueled with neat waste plastic oil’ reviewers reports have been received from Energy Conversion and management Vol. 161, pp. 294–305. Impact Factor: 5.589. Jagatheesan.K. Design and analysis of dynamic characteristics in marine hubless screw Propellers, 2018 DOI:16.10089 page no; 715-725. Jegandhas. p, divine sharon.m,giritharan.s,gnana vel.s,vigneshwaran s.v. Two wheeer for upper limp disability2018 DOI:16.10089 page no; 737-742. Dr.L.Ranganathan. Heat transfer enhancement using nanofluids in automobile radiator2018 DOI:16.10089 page no; 771-776. Balakalanithi, Raj Vishaal, Raghavan.P, Rajesh.R, Sachin Michael. Design of floor and glass wall-cleaning robot2018 DOI:16.10089 page no; 1380-1384. Broster.M, Ramadoss J. Analysis of stress distribution in trans-femoral prosthetic socket 2018 DOI:16.10089 page no; 1373-1379. Dr.D.Madhesh. Thermal analysis of casting solidification process using numerical method2018 DOI:16.10089 page no; 1398-1401. Uthara. R, madhumathi. A, suvalakshmi. T. M, dr. L. Ranganathan. Design and analysis of double bellow expansion joint2018 DOI:16.10089 page no; 952-955. G.devaraj. Influence of friction stir welding process parameters on aa1100-aa2024t351 alloy using optimal design matrix2018 DOI:16.10089 page no; 1351-1355. Dr.d.madhesh. Thermal analysis of casting solidification process using numerical method 2018 DOI:16.10089 page no; 1398-1401. Dr. D. Madhesh. Thermal Analysis Of Casting Solidification Process Using Numerical Method, Fourth International Conference On Science, Engineering And Technology, Role of Robotics Engineering in Science and Technology, 2018. Sudhakar.j. Evaluvation of mechanical properties of jute/sisal Reinforced hybrid composite laminates using epoxy Resin, Fourth International Conference On Science, Engineering And Technology, Role of Robotics Engineering in Science and Technology, 2018. Jagatheesan.K. Design and Analysis of Dynamic Characteristics in Marine Hubless Screw Propellers, Fourth International Conference On Science, Engineering And Technology, Role of Robotics Engineering in Science and Technology, 2018. 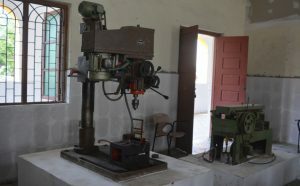 E.Jeeva, Balaguru.R, J.Dilip Singh. Green Biosynthesis of Silver Nanoparticles Coated Bacterial Cellulose Nano Fiber Using Plant Extract for Slow –Released Antimicrobial & Antibacterial Wound Dressing, Fourth International Conference On Science, Engineering And Technology, Role of Robotics Engineering in Science and Technology, 2018. Velmurugan G. Mechanical Properties of Hemp and Glass Fibre Based Hybrid Composites under Alkaline Environment, Fourth International Conference On Science, Engineering And Technology, Role of Robotics Engineering in Science and Technology, 2018. J.Paul Chandra Kumar, Rajesh Kumar N,S.Dhinakaran. Analysis of Heat Generation between automobile tyre and road surface during braking using Abaqus software, Fourth International Conference On Science, Engineering And Technology, Role of Robotics Engineering in Science and Technology, 2018. Melvin Victor Depoures. 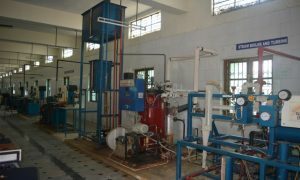 Effect of cadmium ferrite nano particle additive On performance combustion and emission Characteristics of single cylinder diesel engine Fueled with karanja/diesel blend, Fourth International Conference On Science, Engineering And Technology, Role of Robotics Engineering in Science and Technology, 2018. K. Gopal. Investigation of Aluminium Oxide and Zinc Oxide Nanoparticle Fuel Additives to Biodiesel for Improvement of the Performance and Exhaust Emission in a CI Engine, Fourth International Conference On Science, Engineering And Technology, Role of Robotics Engineering in Science and Technology, 2018. M.Broster. Analysis of thermal distribution in above knee prosthetic socket, Fourth International Conference On Science, Engineering And Technology, Role of Robotics Engineering in Science and Technology, 2018. M.Ayyandurai. Experimental studies on machining copper materials by using abrasive water jet machining and laser beam machining, Fourth International Conference On Science, Engineering And Technology, Role of Robotics Engineering in Science and Technology, 2018. S Dhinakaran. Effect of Weight Percentage on Mechanical Properties of Aluminium Matrix Composites, Fourth International Conference On Science, Engineering And Technology, Role of Robotics Engineering in Science and Technology, 2018. J.dilipsingh. Automatic wheel assembly using plc, Fourth International Conference On Science, Engineering And Technology, Role of Robotics Engineering in Science and Technology, 2018. P.Chellapandi. Experimental Investigations On Mechanical, Micro-Structural And Tribological Behavior Of B4c, Sic And Mg Reinforced Aluminum Metal Matrix Composites, Fourth International Conference On Science, Engineering And Technology, Role of Robotics Engineering in Science and Technology, 2018. Ramadoss.J. Study Of Tensile, Compressive An Impact Properties With And Without Fibre Orientation For Epoxy Glass Fibre And Carbon Fibre Composites, Fourth International Conference On Science, Engineering And Technology, Role of Robotics Engineering in Science and Technology, 2018. D.Damodharan. Effect of higher alcohols addition onperformance And emission characteristicson single cylinderDiesel engine by usingdiesel/waste plastic oil Blends, Fourth International Conference On Science, Engineering And Technology, Role of Robotics Engineering in Science and Technology, 2018. 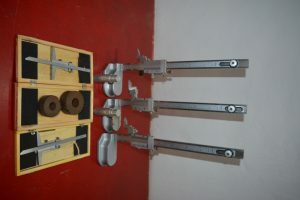 Balakalanithi. Optimization of minimum quantity lubrication Using surface grinding, Fourth International Conference On Science, Engineering And Technology, Role of Robotics Engineering in Science and Technology, 2018. Microprocessors in Robotic and Manufacturing Systems Cooling Using Vapor Compression Refrigeration, Fourth International Conference On Science, Engineering And Technology, Role of Robotics Engineering in Science and Technology, 2018. Rajesh Kumar, J.Paul Chandrakumar, S.Dhinakaran. 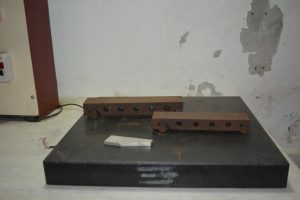 Fabrication of AL2014 andSiC cast composite by stir casting technology, Fourth International Conference On Science, Engineering And Technology, Role of Robotics Engineering in Science and Technology, 2018. L.ranganathan. Heat transfer enhancement using nanofluids in Automobile radiator, Fourth International Conference On Science, Engineering And Technology, Role of Robotics Engineering in Science and Technology, 2018. G. Devaraj. Influence of Friction Stir Welding Process Parameters on AA1100-AA2024T351 Alloy using Optimal Design Matrix, Fourth International Conference On Science, Engineering And Technology, Role of Robotics Engineering in Science and Technology, 2018. L.Ranganathan. Heat transfer enhancement using nanofluids in automobile radiator2018 DOI:16.10089 page no; 771-776. Jagadeesan Ga. Wilson Sahayarajb and Gangaru Baskarc methyl-1,1′,2,2′,3′,6′,11′,11’b-octahydrospiro[indole-3,5′naphtha[2,3-a] pyrrolizine]-2,6′,11′-trione, Fourth International Conference On Science, Engineering And Technology, Role of Robotics Engineering in Science and Technology, 2018. 1 Basic and practical knowledge in engine mechanism 24.03.2018 P.XavierJaganathan, Chief Executive Officer, Goodwin Motors. 2 Advanced computational techniques in fluid mechanics 18.07.2017 1.Smrutimaya Pattanak and 2.R.Luxmi Narasimman, CAE Analyst, Udvavisk Technologies Pvt.ltd. 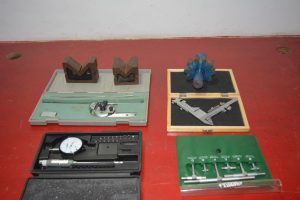 3 Non-Destructive Testing (NDT) 07.01.2018 E.Vignesh, Adithya Printers. 4 Recent trends in Refrigeration system 24.03.2018 P.XavierJaganathan, Chief Executive Officer, Goodwin Motors. 5 Technical and tool modeling using CATIA 03.08.2017 Augustin, Trainer, SPACE CADD. 6 CAD modeling 06.09.2017 CADD Centre. 7 Current trends in Automobiles 24.03.2018 P.XavierJaganathan, Chief Executive Officer, Goodwin Motors. 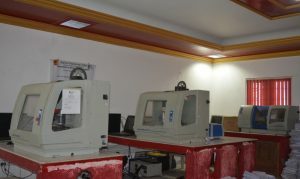 8 Advanced Manufacturing Processes – 3D Printers 20.02.2018 E.Vignesh, Adithya Printers. 11 Recent trends in Robotics 22.09.2017 M.Siranjeevi, Assistant Professor, JEC. 31st January 2018 at Caparo Engineering India Pvt Ltd, Sriperumbudur, Tamil Nadu. A team of 25 students from Mechanical Engineering have registered and participated in virtual event and selected for final event to be held on Feb 12th to 16th 2018 at KARI Motors Speedway, Coimbatore. 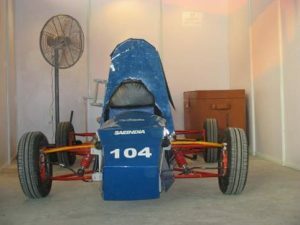 TEAMXLR8 Secured an overall rank of 13 at the final round, 3rd in Tamil Nadu and 1st in Chennai division. Our Chairman & Managing Director Dr.M.Regeena Jeppiaar sponsored Rs 1 lakhs to TEAMXLR8 Go-kart team. Our Chairman & Managing Director Dr.M.Regeena Jeppiaar awarded cash prize of Rs.30000/- to TEAMXLR8 Go-kart team. 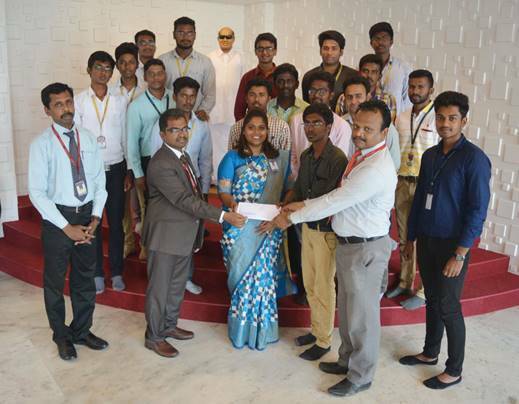 A team of 25 students registered for TRACTOR DESIGN COMPETITION (TDC) organized by SAEISS. The final event is to be held on 21st -23rd June 2018, Chennai. Our Chairman & Managing Director Dr.M.Regeena Jeppiaar sponsored Rs 2 lakhs to TDC team. Venue: Kongu College of Engineering, Perundurai, Erode. K.GOKULIV year Mechanical Engineering was elected as “Student Executive Council Member (SEC)” from SAEINDIA Southern Section for the year 2016-2017. A team of 25 students from mechanical engineering have registered and participated in virtual event and selected for the final event. The final event was held on 4th to 9th July 2016 at Buddh International Circuit, Greater Noida. A Team of 10 students from Mechanical Engineering participated in SAE-EFFICYCLE virtual event on 18thjuly 2015 held at Rajalakshmi Institute of Technology, Chennai. A Team of 10 students from Mechanical Engineering participated in SAE-EFFICAR virtual event on 22-24th January 2016 held at Panjab University, Chandigarh. A team of 25 students from Mechanical Engineering have registered and participated in virtual event selected for final event. The final event was held on February 12th to 15th 2016 Kari Motor Speedway, Coimbatore.